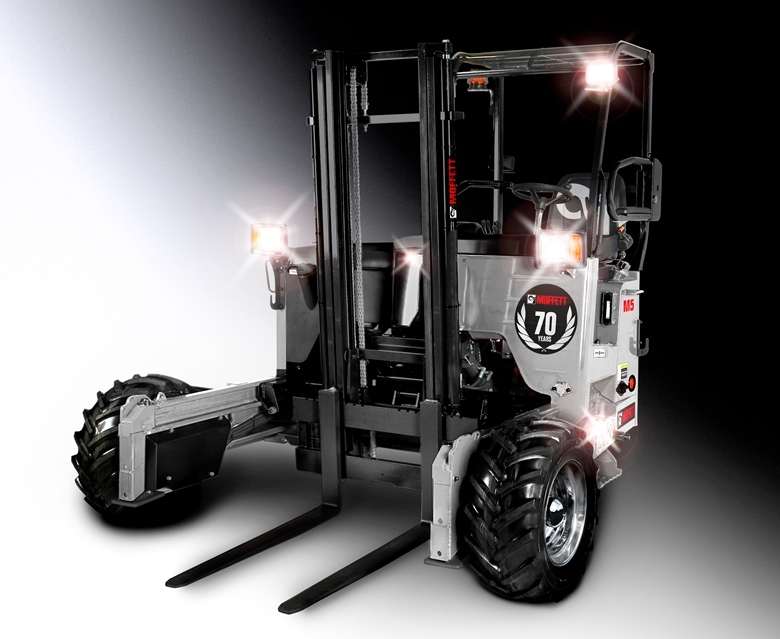 As part of its 70th anniversary celebrations, MOFFETT, part of Cargotec's Hiab business area, will be donating and auctioning a special edition 70th anniversary truck-mounted forklift for charity. The special edition truck will be a one-off build, featuring a custom paint finish in platinum silver and anniversary edition branding. The model type and specification will be selected to complement the fleet requirements of the winning customer, and will be decided on in consultation with the local MOFFETT dealer, the customer, and MOFFETT representatives. The money raised from the winning bid will be donated to charities chosen by the winners and runners-up of the MOFFETT World Championship 2015. Qualification rounds begin in April across Europe, South Africa, Australia and the USA, with the championship finals being held in October in Dundalk, Ireland. The charities that will benefit will be local causes that are dear to the hearts of the competition-winners in their home countries and localities, which makes the charity auction all the more poignant. "We encourage all of our customers to be generous with their auction bids, because MOFFETT will donate the entire winning bid to charity," says Keith Quigley, Senior Vice President, Truck Mounted Forklifts, Hiab. "By asking the finalists of the MOFFETT World Championship to choose their favourite charities in their home towns, we hope that many local people will really benefit from the money raised. We value our close working partnerships with our customers, and we think this is a fine way to celebrate our 70th anniversary." The online charity auction will run until 30 September 2015, and bidders can find more information, and pledge their bids, by registering at moffettjubilee.com.